Take a trip to Great Missenden and you might stumble across this ‘flushbunkingly glorious’ museum with chocolate-scented doors and fun galleries for families. 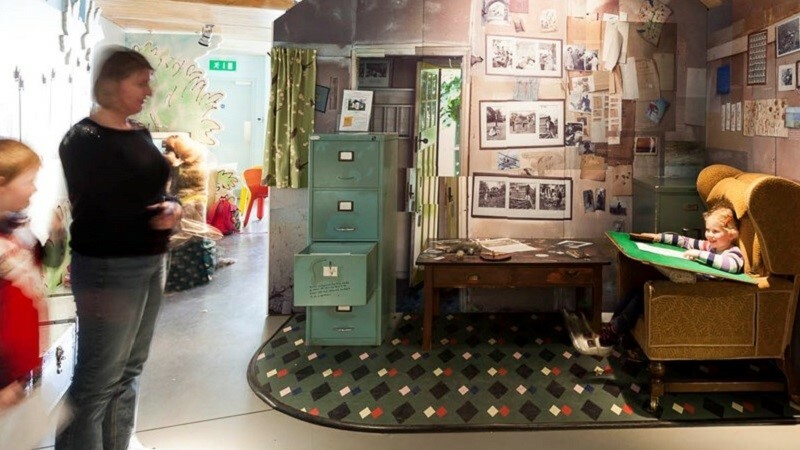 It is of course, The Roald Dahl Museum, located where the famous author once wrote, and surrounded by the places that inspired many of the stories we know and love today. Not only is the museum a fun-filled day out for kids and adults alike, but it is also a place where accessibility and inclusion are considered throughout. We got in touch to find out more about how the Roald Dahl museum engages visitors through accessible storytelling and ‘gobblefunk’, the language of Roald Dahl! How does the museum’s Signly app add to the visitor experience? Crafts and storytelling often go hand-in-hand. Why do props help to make a story better for children, and how to you ensure these activities are inclusive to all? Our craft sessions often feature an element of storytelling. This combination of activities helps engage younger children in the stories and characters. Our workshop spaces are all fully accessible, and our activities are flexible in terms of content and outcome. We encourage families to participate together and our workshop leaders encourage participants’ imagination and creativity. Can you tell us a bit more about your Story Ideas Book and how it is used by children visiting the museum? Every child receives a Story Ideas Book when they get to the Museum to write their ideas in as they explore the galleries. Roald Dahl always kept an Ideas Book in which he jotted down ideas for character names and stories. You can see one of Roald Dahl’s Story Ideas Books in the Museum. When designing and changing your galleries, do you find it fun to create and imagine the different ways you can tell Roald Dahl’s stories? What has been the most creative way you have made a gallery or exhibit more accessible or inclusive? Our gallery displays are mostly static, although some re-designs are planned for the future. Our spaces and displays were designed to be as inclusive and accessible as possible, with objects to handle, things to smell, music and sound, films and hands-on activities. Through our changing programme of activities and trails we enjoy finding new ways to help our visitors to explore Roald Dahl’s life and stories. The storytelling sessions in Miss Honey’s Classroom sound like great fun! How is this experience made accessible and inclusive to visitors? Acting out the character’s parts sounds like it really immerses the audience! Our interactive storytelling is always popular with our visitors! Our storytellers can adapt to any given audience and often use props and audience participation to get everyone involved. We use short, funny poems from Roald Dahl’s Revolting Rhymes and Dirty Beasts which make for entertaining and engaging sessions for all ages. Last year, we organised a dyslexia-friendly storytelling session packed with sensory-based activities including visual character-making and physical scene-setting, and on another occasion, a BSL signed storytelling day. Look out for similar events coming up this year. You use lots of interactive exhibits and multi-sensory features to tell stories. We particularly love that the doors to the Boy Gallery smell like chocolate! How can multi-sensory storytelling add to a person’s experience, and what other examples do you have around your museum? Multi-sensory storytelling can provide a number of different ways to experience a story other than straightforward reading. 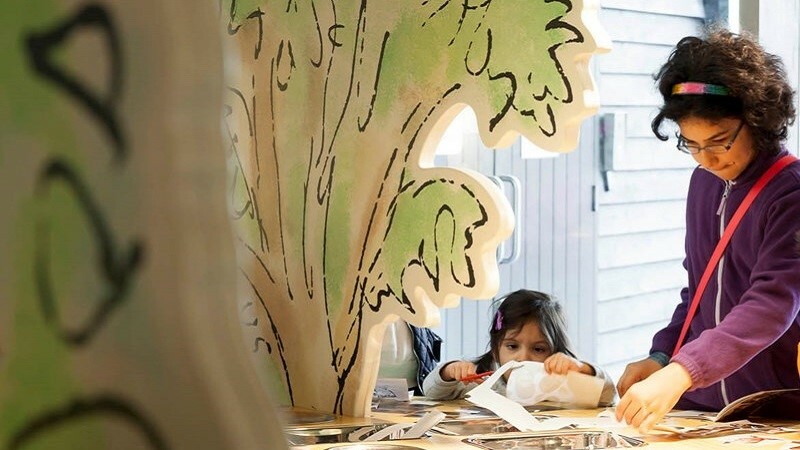 Visitors can also explore our Story Sacks that contain tactile story props, play at creating stop-frame animations, and dress up as their favourite characters. Social media offers a different kind of storytelling. How do you use social media to communicate how accessible and inclusive you are to potential new visitors? We use social media as another storytelling tool to share stories from the archive about Roald Dahl’s life and how he wrote his books. We tie-in with online activity around Disabled Access Day to promote our accessible events, and encourage people to join in with on-line activities so people who can’t visit can still take part. Finally, what are the next steps for the museum in terms of disabled access? Due to their popularity, we hope to programme more BSL signed talks and storytelling later this year. Longer-term, we want to upgrade our hearing loop facility and enhance our provision for blind and partially sighted visitors. The Roald Dahl Museum will be taking part in Disabled Access Day this year! On Sunday 12th March, they will be hosting Swashboggling Signed Stories with BSL-signed stories and talks throughout the day.